Who is Health in Mind? Health in Mind provide therapies and practical support for people experiencing anxiety, depression and other difficulties. Health in Mind is part of the national initiative called Improving Access to Psychological Therapies (IAPT). 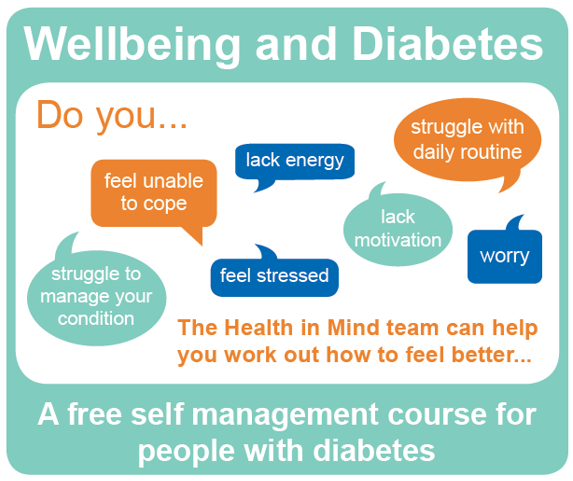 What is the ‘Wellbeing and Diabetes’ course? The course will provide the opportunity for people living with diabetes to develop their knowledge, tools and skills. The aim is to help attendees manage physical and/or psychological wellbeing more effectively and to make positive changes. The course is completely FREE for patients registered with a NE Essex GP surgery. What will I gain by coming to the ‘Wellbeing and Diabetes’ course? 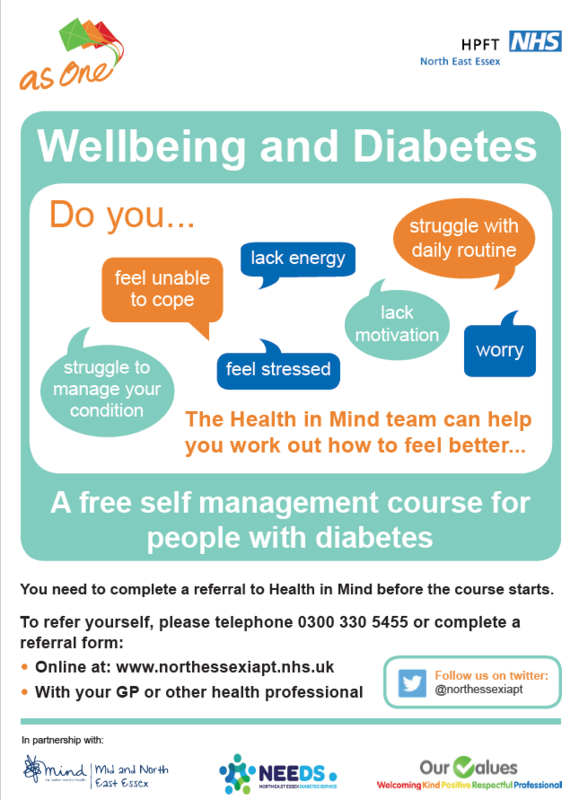 To refer yourself to a Health In Mind ‘Wellbeing and Diabetes’ course please click here to download your referral form.